If you haven’t caught on to the adult coloring book craze yet, I can guarantee you that “when” you do, you’ll soon be addicted! I know, ’cause it happened to me. Coloring is not just for kids anymore. Adult are tapping into their inner child(ren) again with grown-up coloring books and finding out that coloring is most beneficial to the human psyche. It’s calming, soothing, relieves stress … some even say meditative. The left (rational thinking) side of your brain takes a back seat, while the right (creative) side kicks in, allowing you to be as creative as you like, while enjoying quiet time. It’s therapeutic. I promise. 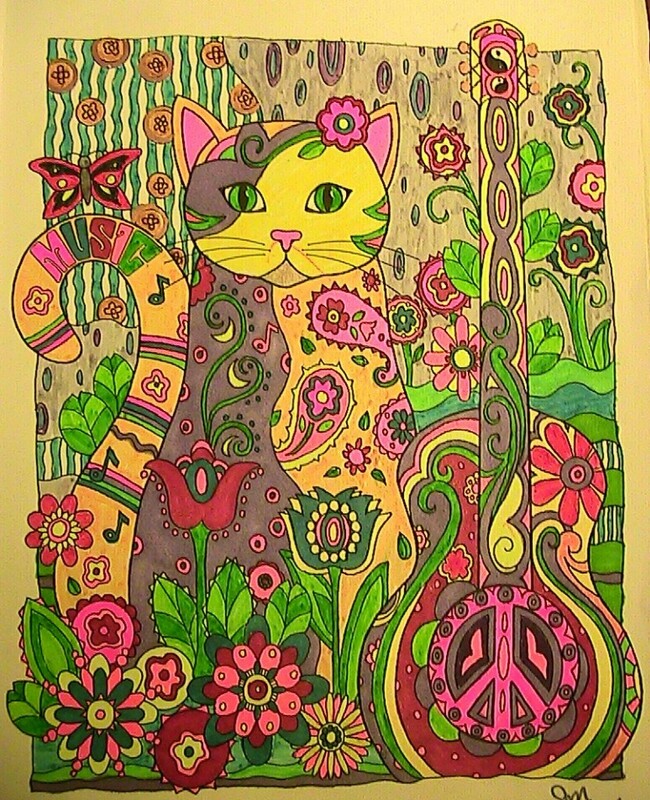 Aside from a myriad of adult coloring books for animal lovers , there are many other themes — nature in general, floral, geometric designs, abstract designs, mandalas, seasonal themes, architecture, fine art, ocean themes, cartoons, fantasy, fairies, unicorns, horses, stained glass … the list goes on and on and on. How about a coloring party? Invite a few of your coloring friends over for a nice, peaceful evening. Open a bottle of wine, maybe? Color a page from each others coloring books? Oh, what fun! Below I feature a few books, but be sure to explore for a much wider range. There are so MANY books out there. Oh, my … So much to color, and not enough time. 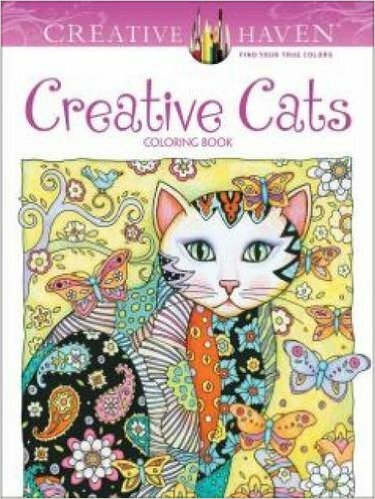 My favorite book is “Creative Cats” , artwork by Marjorie Sarnat and published by Creative Haven. The designs are creative, fanciful, and abstract. 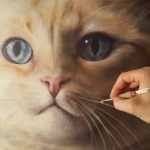 There are 30 full-page portraits of cats, with motifs that include hearts, flowers, and paisleys. Here’s one for dog people. It’s obviously quite a different style than the previous book. 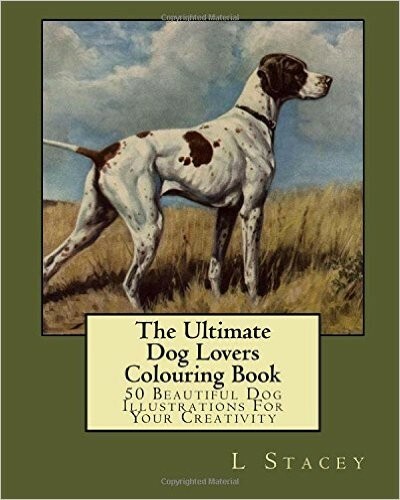 This one is “The Ultimate Dog Lovers Coloring Book” created by L. Stacey. This book has 50 pages to color. “Whimsical Dogs & Their Animal Pals ” is another fun one of yet another style, created by Anne Manera. 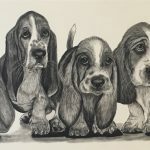 Anne is also the author and illustrator of a series of children’s book featuring her real-life dogs as the main characters: “Biscuits, Balls & Bones“- a dog’s search for happiness; “Eat, Sleep, Wag” – a dog’s gratitude journal; and “A Dog, a Toad & a Picnic“- a dog’s tail of friendship. 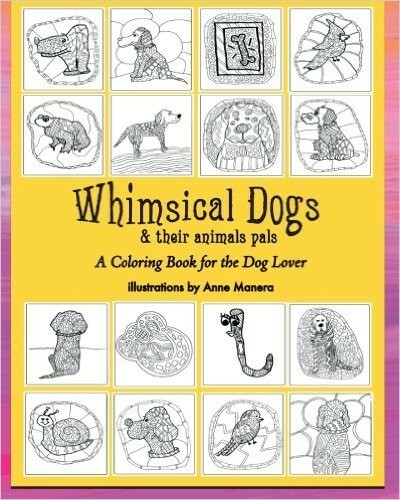 Check out Anne Anne Manera’s author page on Amazon for a long list of her wonderful children’s books and her other coloring books. If you’re more of a wild life fan, here’s a great bundle idea. 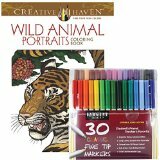 You can buy the “Wild Animal Portraits” Coloring Book , along with a set of 30 Sargent Art Classic Fine Tip Markers to color with. That’s a good deal. 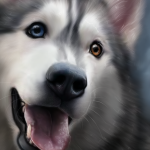 Here is a non-animal lover one I’ll share with you too. It’s my other favorite book. 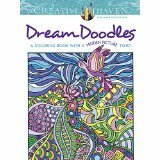 The title is “Dream Doodles ” and it’s so much fun! 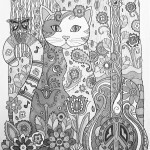 There are 28 “zen doodles” to color, each one with hidden images to find. Here’s a page that I colored from this book. So fun. Don’t forget to get your coloring tools as well. These are beyond the scope of this post, but let me just say that my favorite things to work with are Sharpies . Otherwise, you can click here to find adult coloring supplies such as colored pencils, markers, gel pens, water color pencils, paint brush pens, watercolor paint, acrylics, and crayons, too! Phew! HAVE FUN and let me know what you’ve chosen. Do you color? 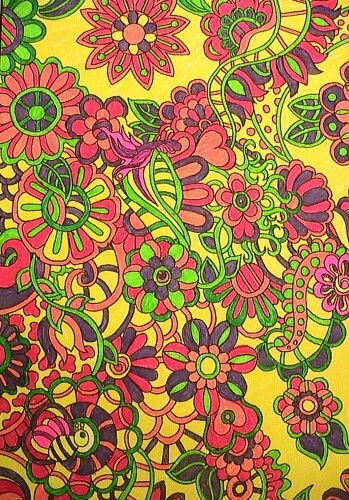 What’s your favorite thing to color? I have recently gotten into adult coloring books as well and just got a couple of new ones for Christmas! Didn’t know there were any animal themed books out there – these will be next on my list! That’s great that you’ve gotten into coloring too, Kevin. I’m happy to hear that. I just got my brother hooked as well. Have fun with your Christmas presents. That’s fun! I got a $30 gift certificate especially for coloring books. I can’t wait to go shopping! 😉 Thanks for visiting my blog. My aunt is crazy about these books. She has bought them for me and my children and they love it. I don’t color, and I don’t quite know why. I think the coloring books I’ve seen in stores just don’t “call out” to me. But I love the Creative Cats – reminds me of some fantasy pictures I made and colored of my parakeets back when I was a teenager! 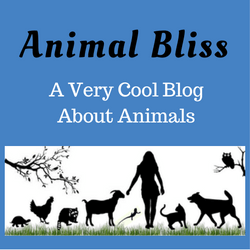 Thanks for visiting my blog today, Alana. 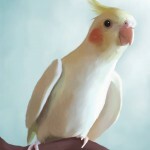 I hope you still have some of your fantasy pictures you made and colored of your parakeets? 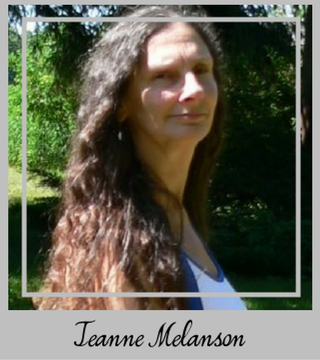 Very cool, Jeanne! 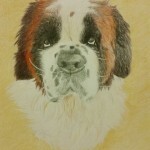 I love the Creative Cats, Whimsical Dogs and Dream Doodles. Looks like fun. Has been years; since my now 29 year old daughter was little! You should take up coloring again, Jody. I can’t get enough. 😉 Thanks for stopping by.